David Warner has earlier too posted videos of travelling around India with his family. 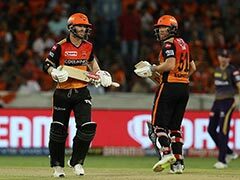 David Warner's Indian Premier League franchise SunRisers Hyderabad are enjoying a six-day break between matches and the Australian batsman is making the most of it. David Warner, who led SRH to their IPL title in 2016, enjoyed a 'tuk-tuk' ride in Hyderabad with his four-year-old daughter Ivy Mae. In a series of stories posted on his Instagram account, David Warner can be seen in a completely relaxed mood before SRH's next match against the Delhi Capitals on Sunday. David Warner, who served a 12-month ban slapped by Cricket Australia for his involvement in the infamous ball-tampering scandal, has been in fine form since his return to SunRisers Hyderabad. The former Australia vice-captain had to miss out on IPL 2018 as the Board of Control for Cricket in India (BCCI) barred Warner and Steve Smith from featuring in the last season. In IPL 2019, with 349 runs, including a hundred and three fifties, Warner is currently the proud owner of Orange Cap. As far as SunRisers Hyderabad are concerned, the last year's finalists have lost a bit of momentum after they won three of their first four matches this season. 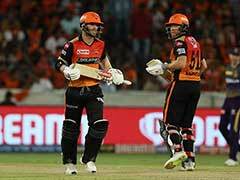 SRH suffered back-to-back defeats against Mumbai Indians and Kings XI Punjab in their last two matches. 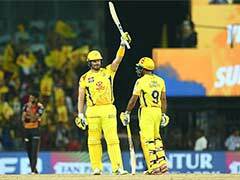 Currently, they occupy the fifth spot in the IPL 2019 points table with three wins and as many losses in six matches. In a way, the six-day break has come at the right time for SunRisers Hyderabad, who would want to regroup and bring their IPL 2019 campaign back on track.